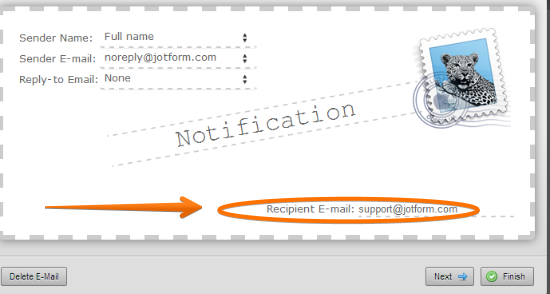 How can I have a submission to go to a different email address, not the email address that's in my JotForm account? The Recipient E-mail is where the submission notification emails were being sent to. So, you only need to change the email address on that box to the email address you wanted the submission email sent.